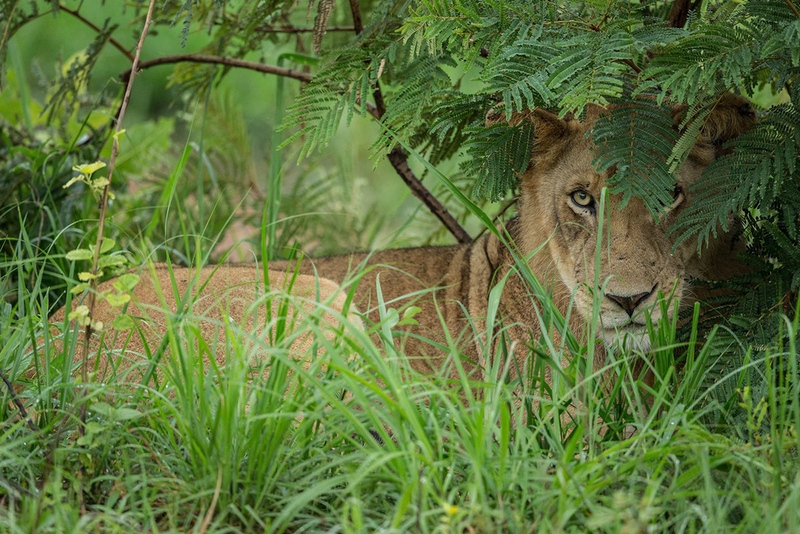 The Kafue National Park is one of Africa’s best kept secrets, an unspoilt wilderness with an extraordinary diversity of wildlife. 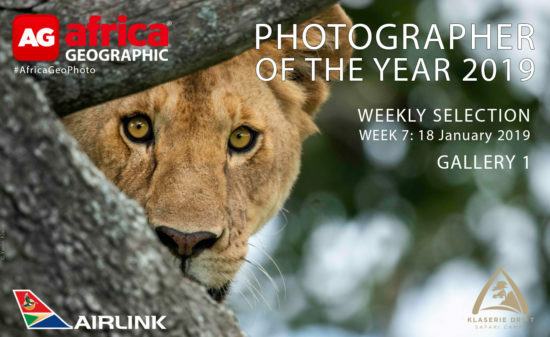 Nowhere else in Africa can you see blue duiker, sable, roan, red lechwe, Lichenstein’s hartebeest, puku, elephant, buffalo, lion, leopard, painted wolf, hippo and yellow-backed duiker all in one park. Covering 22,480 sq. 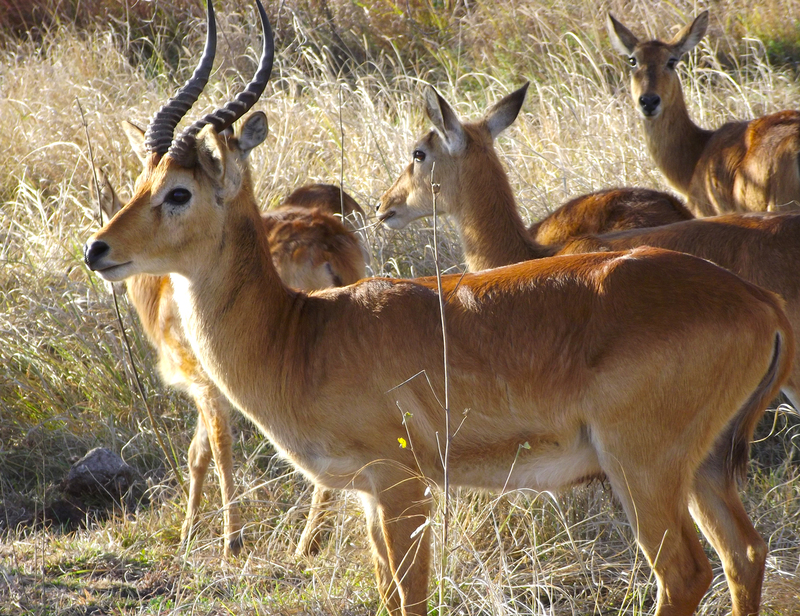 km, Kafue represents 36% of Zambia’s National Park areas. When combined with the surrounding 45,400 sq. km of Game Management Area (GMA), the total wildlife area of 68,000 sq. 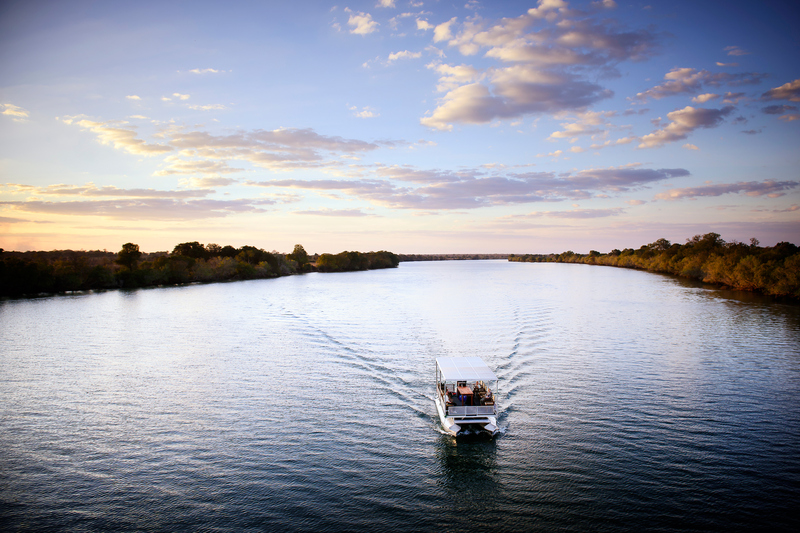 km represents a staggering 9% of Zambia’s total land mass. This is a land without fences and few roads, much of it still uncharted territory. In the southern reaches of Kafue lies another secret, a hidden gem… the Nanzhila Plains. We had been to Kafue before, visiting the beautiful Busanga Plains in the far north, the scenic centre of the park, and reached as far south as Lake Itezhi-Tezhi, but we had run out of time to get as far as Nanzhila and so this time were back on a mission to visit this very special place. It took us an hour to get out of the chaos that is Lusaka. Roadworks blocked the road to Kafue and traffic was almost at a standstill, not helped by the diabolical driving of the minibus drivers who were determined to force their way through. By the time we finally escaped the confines of town we were feeling very claustrophobic and craving the tranquillity of the bush. We broke our journey to the Nanzhila Plains three hours from Lusaka, with a couple of nights at Ila Safari Lodge in the centre of the park. 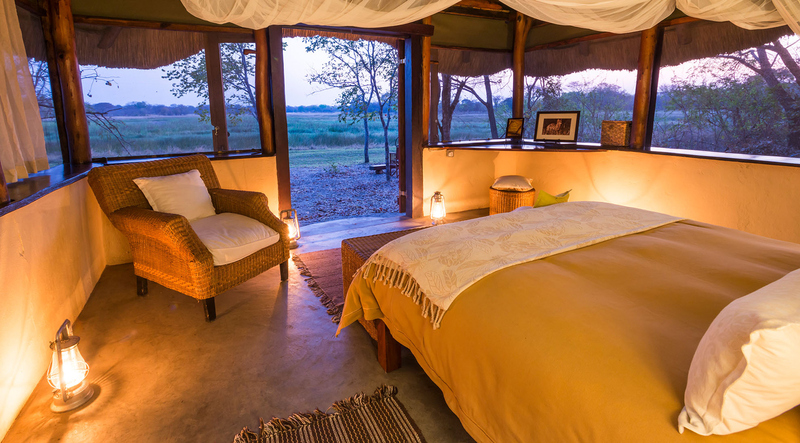 Built on the banks of the 400 metre-wide Kafue River – the lifeline of the park – Ila Safari Lodge is a luxury tented safari lodge. Each tent is perched on its own deck overhanging the river and the views are just stunning! 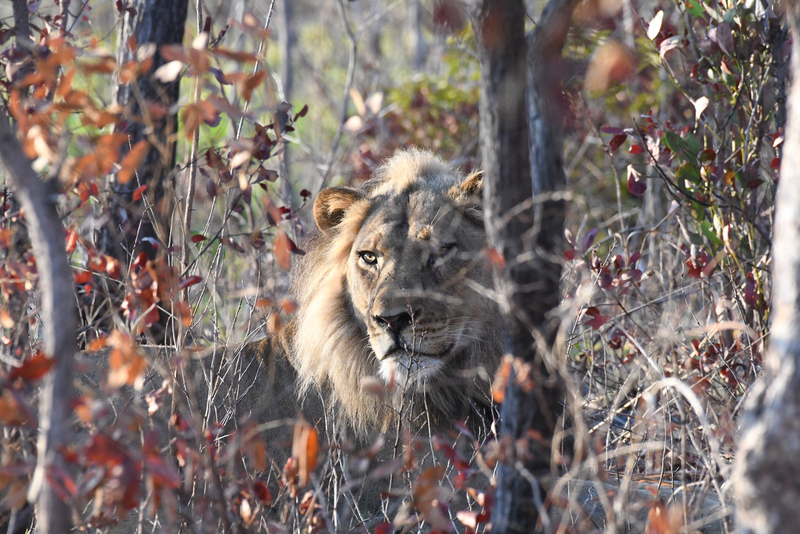 My husband, worn out with the rigours of escaping from Lusaka and the drive to the park, decided to take the afternoon off, but I was determined to go on an afternoon game drive. A short float across the water and we set off in the game drive vehicle into Kafue National Park. The park was awash with puku that afternoon, around every twist or turn in the road more and more of these sandy brown, shaggy-coated antelopes awaited. 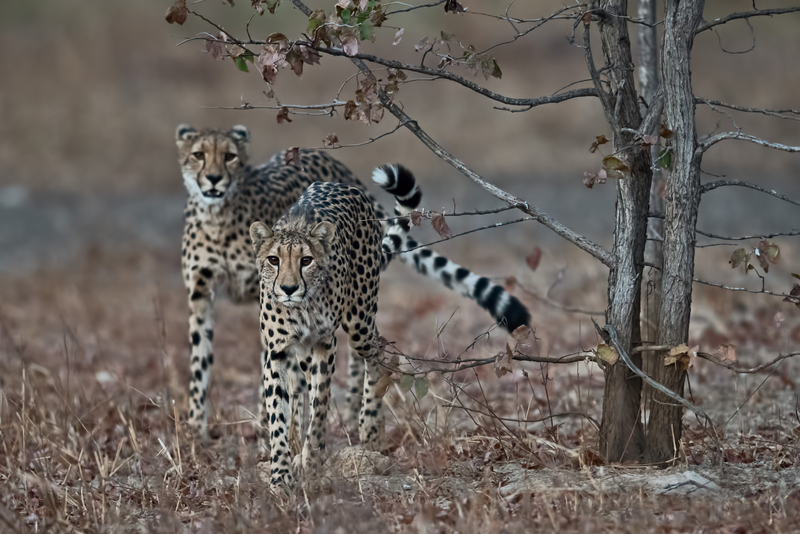 Young males gathered in bachelor herds, whilst the more dominant males jealously herded their female consorts. 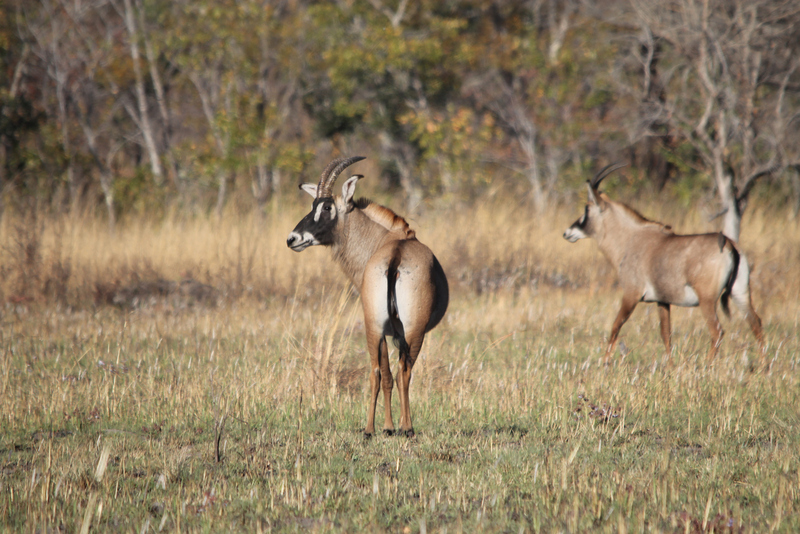 Dotted between the puku were impala, Defassa waterbuck and the occasional zebra. As the sun set and the night air grew chilly, we wrapped ourselves in warm ponchos and carried on with the drive. 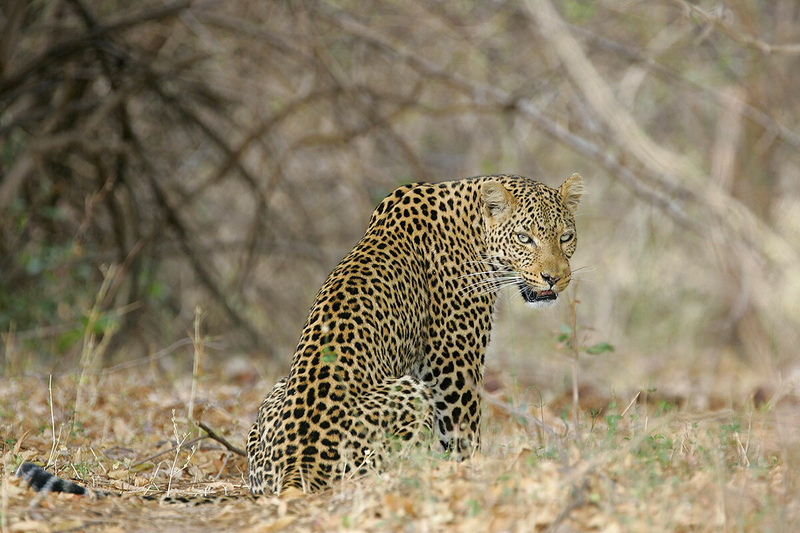 A leopard sat by the roadside, setting off on a leisurely walk as we reached him. We followed him for half-an-hour while he sauntered and sniffed, marking his territory as he searched for a mate. After a well-earned night’s sleep, we started the day fresh as the sun rose with another fantastic game drive. Rounding a corner we were greeted by a 600-strong herd of buffalo of all shapes, sizes and colours – from rusty reddish-brown calves to battle-scarred old males. They surrounded our vehicle as they breakfasted ‘on the hoof’. In the background, a family of twenty or so elephants ambled, ranging in age from tiny babies to the old matriarch, taking part in the movable feast. Rounding another corner we startled two lionesses on a sandbank beside a small tributary. Within minutes they had vanished, blending into the long grass. If we had arrived minutes later we would not have known they had ever been there. We headed through the varied habitats of the spinal road through the park and then joined a brand new, still under construction, dirt road heading into the deep south of the park – we hoped. The road was so new that it didn’t feature on any map, and it didn’t take long before we were well and truly lost. Driving back and forth over the same 10 km stretch of road, we eventually found the road we were looking for, and were finally on our way again. 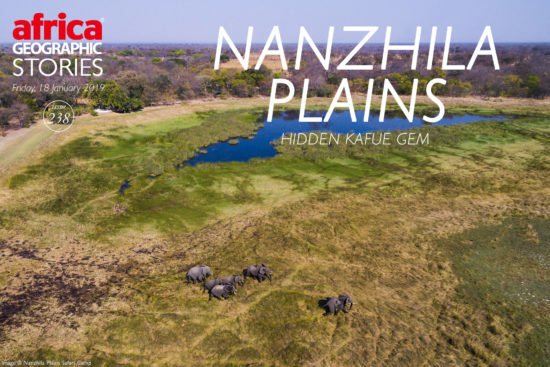 The Nanzhila Plains, in the south end of Kafue National Park, is smaller and has a more varied habitat than the better known Busanga Plains of the north. It’s a stunning landscape of open grasslands and dambos (shallow floodplains), ringed with miombo woodland and mopane forest. Dotted with baobabs and acacias, punctuated by termitaria, and interspersed with low woodland ridges and thickets. Winding river channels become scattered pools and ponds, surrounded by rich pastures when the water recedes in the dry season. 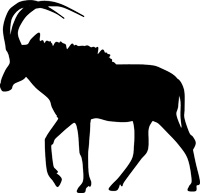 These grasslands provide the perfect grazing grounds for an array of species of antelope. Our drive into camp gave us a taste of what was to come, with the widest variety of game we had seen thus far on our trip. Zebra, reedbuck, impala, eland, kudu, waterbuck and even a lone roan all witnessed our arrival. Nanzhila Plains Safari Camp has a peaceful, rustic charm, an air of incredible solace and a fantastic view over a small lake which, when we arrived, was occupied by a collection of beautiful pygmy geese. 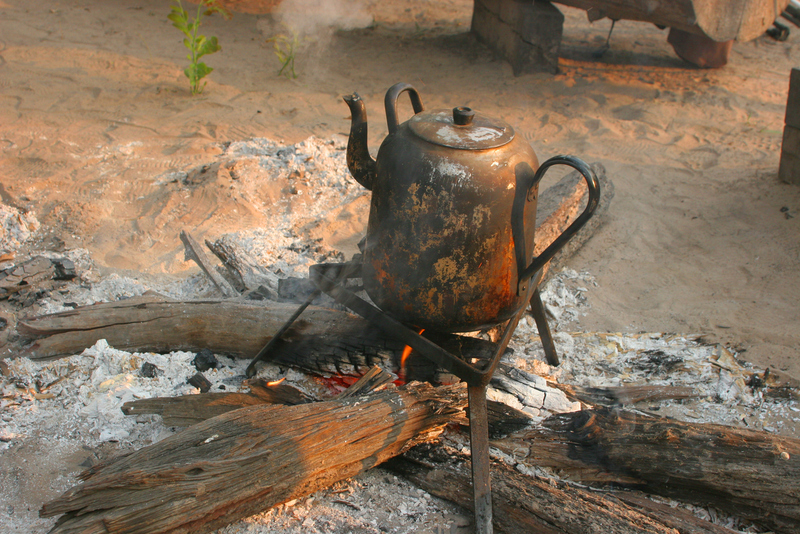 Our early wake up call was accompanied by tea, coffee and rusks by the fire before rugging up for the game drive – we would be back in time for a late breakfast. 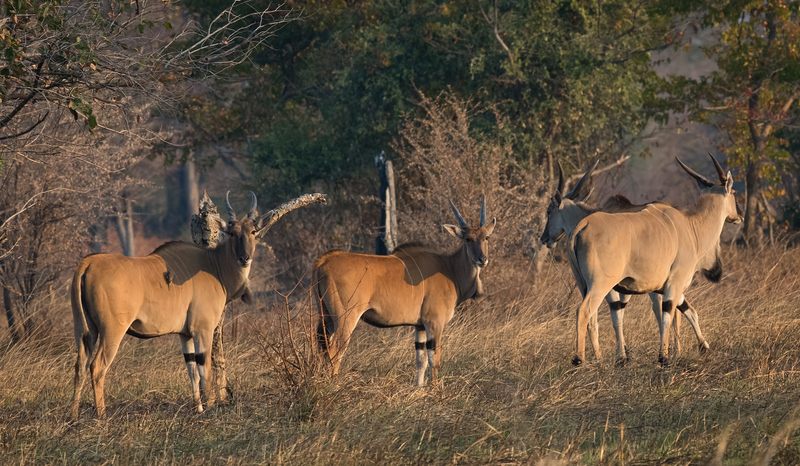 A huge variety of antelope awaited us: Impala, reedbuck and a large bachelor herd of kudu sporting an impressive display of their trademark corkscrew headwear. A trio of oribi – mother, father and calf – daintily pranced across our path. 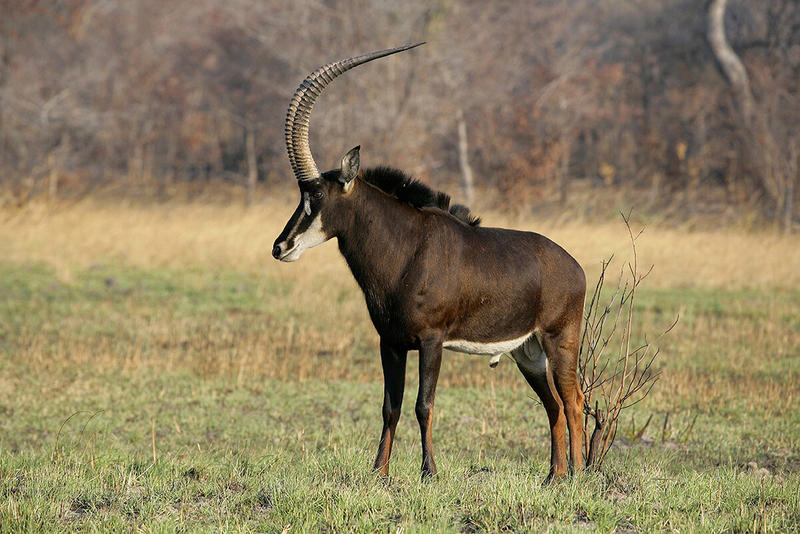 A singular, slightly confused-looking sable stood amongst a large herd of waterbuck. Groups of zebra chewed ruminatively whilst surveying us. A herd of wildebeest, looking like they were returning from a bachelor’s party night on the town, galloped and careened in ever widening circles, full of testosterone, each one showing off in his own unique style. 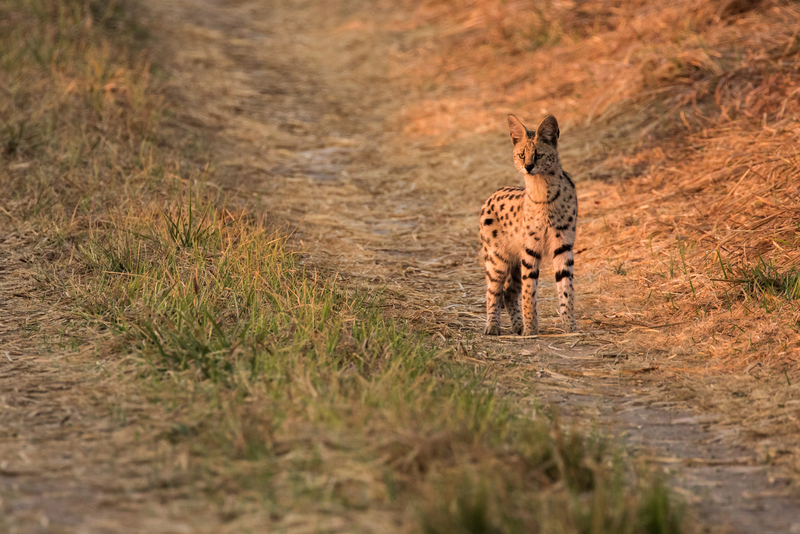 A serval, oblivious to our presence, stalked and sniffed in the grass, suddenly catching sight or sound of us, disappeared at speed. A pair of bush pigs snuffled around in the grass, excavating breakfast with their snouts. The ground was peppered with the footprints of marsh mongoose, porcupine, hyena and even a lion’s footprints accompanied by the clear swoosh mark of his tail. 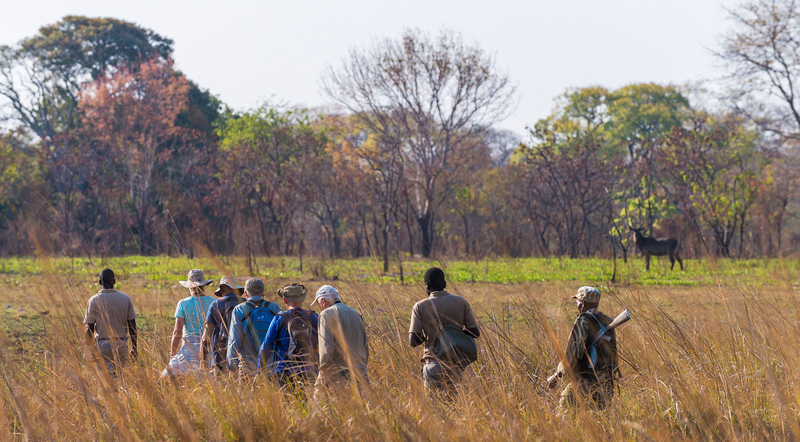 This part of Kafue National Park is a superb place for bird watchers, and an impressive array of birdlife was on display. Three pairs of wattled cranes dipped and danced in the shallow waters and a Dickinson’s kestrel and martial eagle perched in trees overhead. Shelley’s francolins rustled in the undergrowth while swallow-tailed bee-eaters swooped. We spotted three giant eagle-owls and an African barred owlet in quick succession. A pair of fish eagles worked at procreating and grey-headed parrots squawked as they flew overhead. 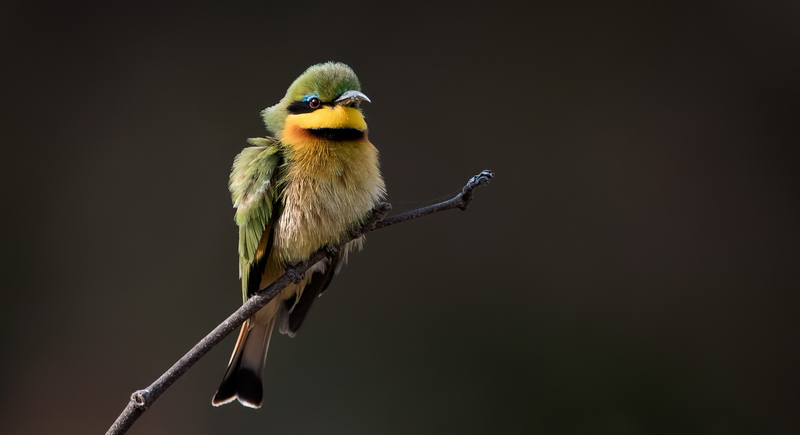 We were delighted to see several small flocks of black-cheeked love birds – endemic to the south west of Zambia and which breed in and around the park – shoot past, with their dark brown heads, white eye rings and red beaks, chattering shrilly and never settling in one place for long. Nights at the camp, sitting by the fire (often referred to as the ‘bush television’), were a great way to end the day. With a drink in one hand, legs outstretched towards the mesmerising flames and the vast spaces enveloping us, we really appreciated what a special place we were in and what a privilege it was to be there. With 3,000 sq. 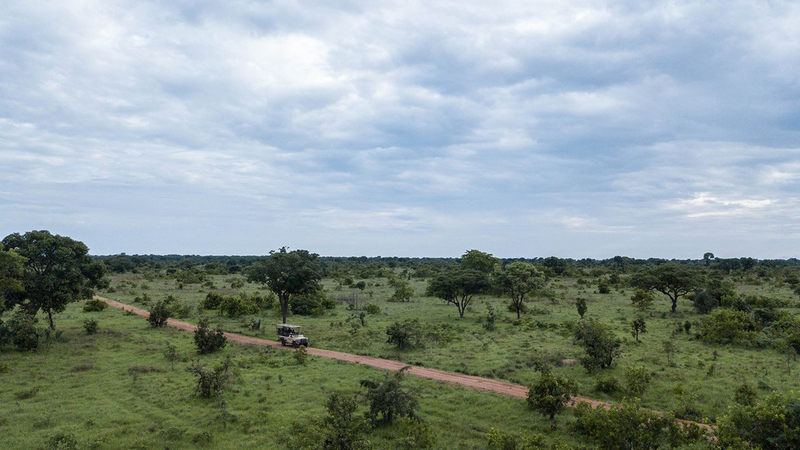 km of diverse landscape and wildlife all to ourselves, Nanzhila Plains somehow still manages to remain an intimate, exclusive and personal experience. Notwithstanding the fact that we were actually on holiday, safari life can be a seriously tiring thing. Those 5am wake up calls really take their toll on those not used to dragging themselves out of bed so early in the morning. I’ve lost track of the number of times fellow safari goers have turned to me mid game drive and said: “I don’t know why I’m so tired, it’s not as if I’m actually doing anything”. A week of early mornings, hours out in the fresh air, disjointed sleep patterns and late nights by the fire had all added up to be, frankly, a little exhausting. So whilst we were sad to leave Nanzhila, we were also keen to do absolutely nothing at all at our next destination on the way home – Mukambi Safari Lodge, in the centre of the park. 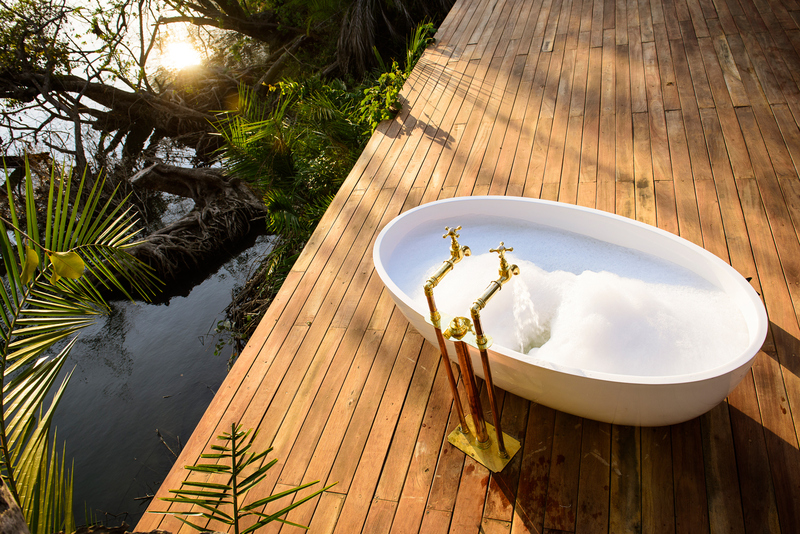 A lengthy and luxurious bath on our verandah watching the river flow by, sundowners in the lodge watching the spectacular colours of our final Kafue sunset and an early night to bed… just what we needed. The following morning we were loudly and thoroughly awoken by a raiding party of baboons, leaping spectacularly onto our roof. They made such a racket that I, half asleep, wondered if they would fall right through and land on our bed! The roof withstood the onslaught and we went outside to get a better view of their antics. Play fights, real fights, hugging, grooming, squabbling and eating. It made me realise how little time we generally spend observing baboons and how interesting they really are. We weren’t the only ones watching the hijinks, a couple of impala looked on, nonplussed; clearly they had seen it all before. And so marked the end of our time in Kafue. It was time to leave this special park behind and head back to ‘civilisation’. 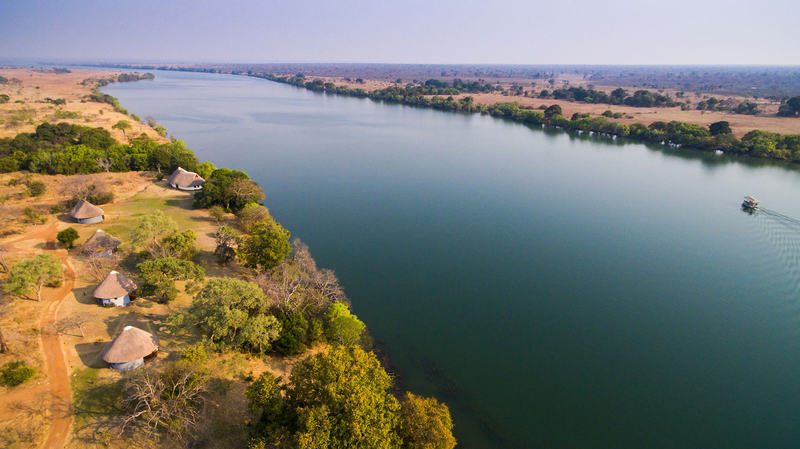 Ila Safari Lodge is an eco-lodge on the banks of the mighty Kafue River in Kafue National Park, offering 180 degree views of the wide river. 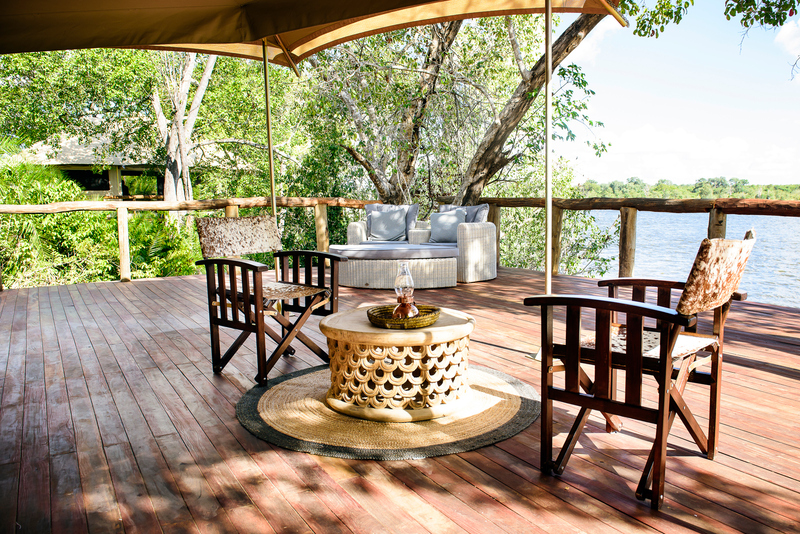 The lodge hosts 24 guests, in 10 luxury safari tents (two of which are family tents) perched on wooden decks that reach out over the river. Each tent has en-suite bathrooms and either outside showers or baths. Beds are extra length, and mosquito nets ensure a good night’s sleep. 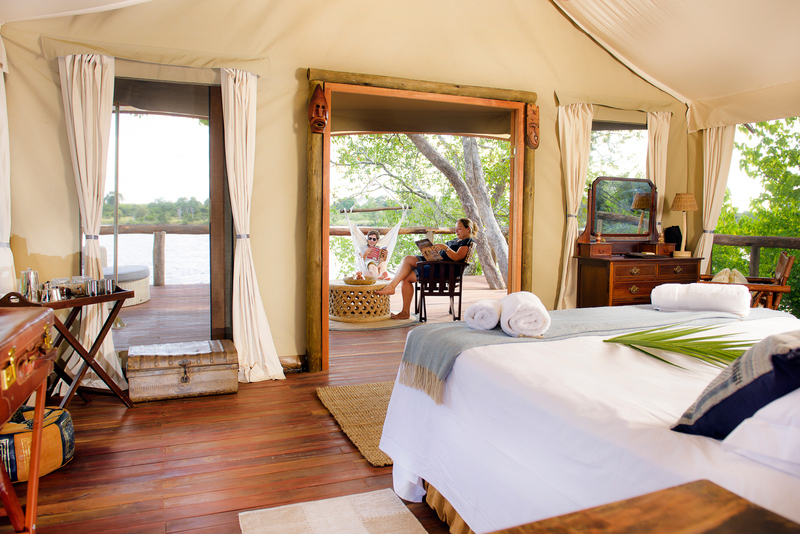 The tent interiors and private decks are furnished in chic, modern African style, with every comfort considered. 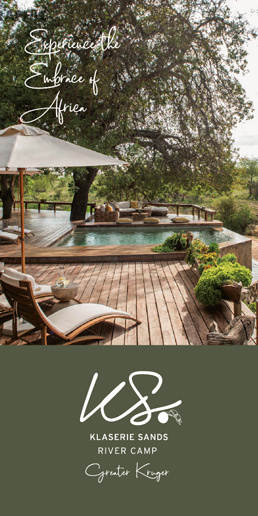 The central boma area, which features a designer pool, is best described as ‘eco-friendly meets dynamic design’ and is the showpiece of the lodge. 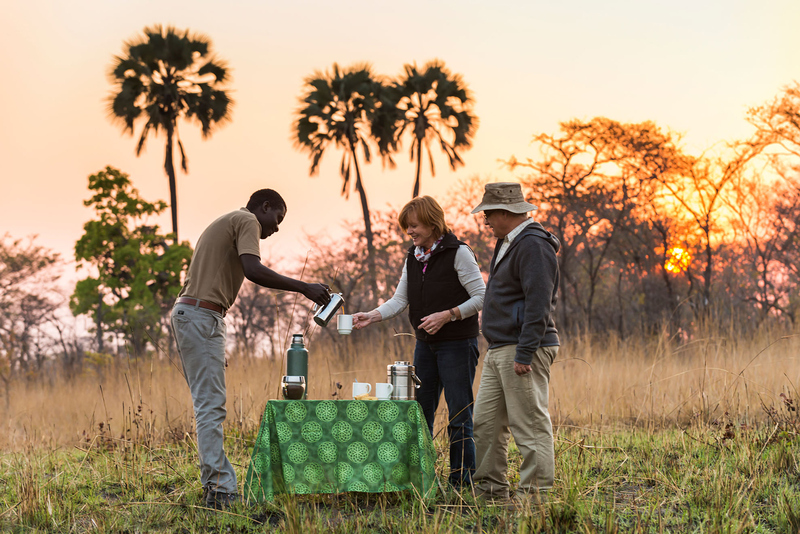 Nanzhila Plains Safari Camp is an intimate owner-managed lodge situated on the edge of the Nangandwe dambo (shallow floodplain) in the seldom-visited southern section of Kafue National Park. 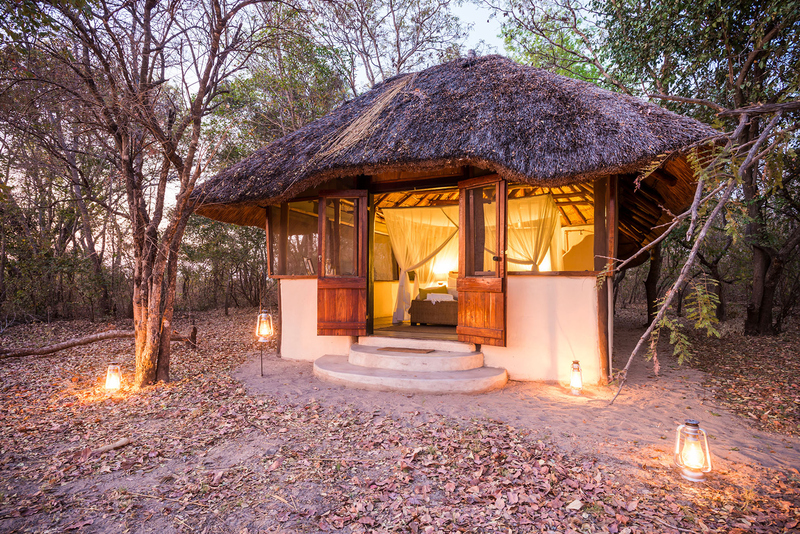 Accommodation consists of three chalets and three Meru-style safari tents (accommodating 12 guests in total), situated in the shady tree-line, and commanding views over the dambo. Each unit has an en-suite toilet, double basins and hot-and-cold showers. They are lit by paraffin lamps and hot water is provided by donkey boilers. The comfortable beds are protected by mosquito nets. 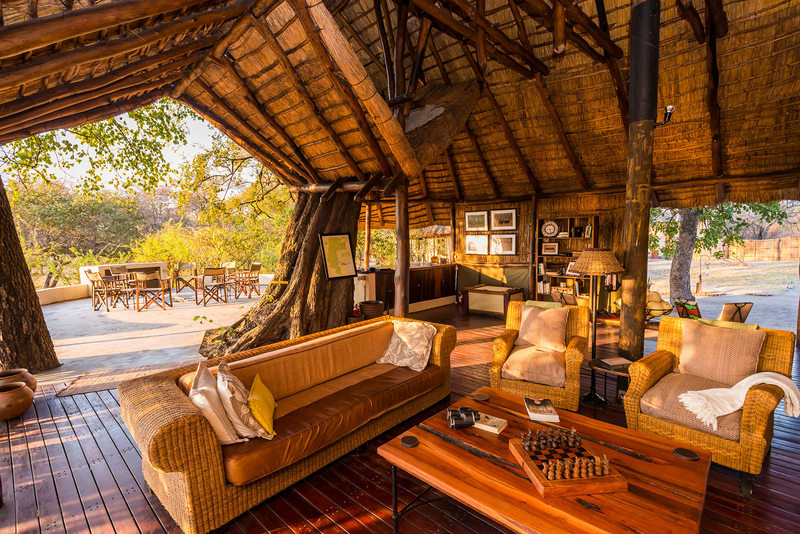 The spacious communal area is a raised insaka (grass-thatched structure), with a wooden deck in the shade of a massive jackalberry tree. 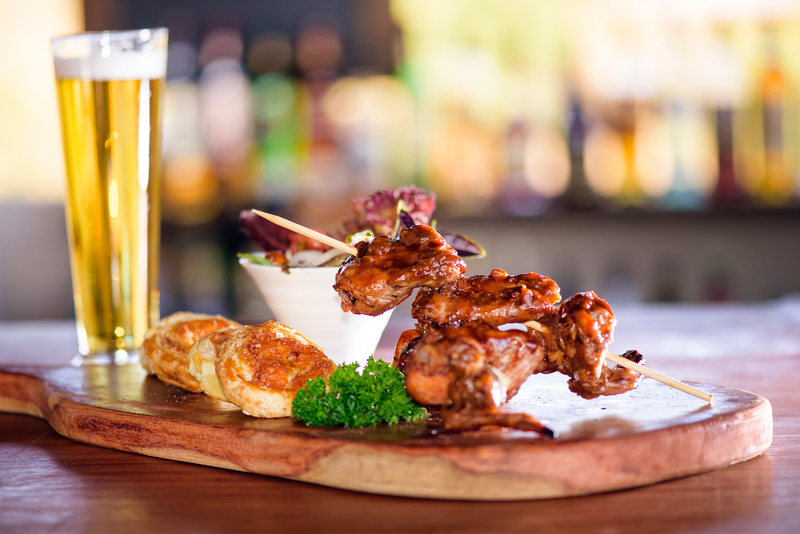 Elevated above the dambo, this area features a lounge and dining area, bar and verandah. An adjoining communal open-air fireplace is a great gathering place in the evening, where stories are exchanged under the stars. 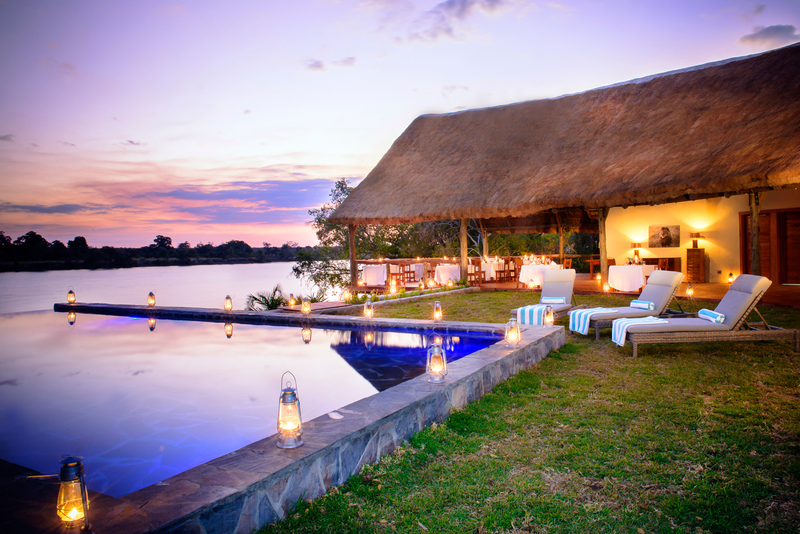 Mukambi Safari Lodge is a traditional thatched lodge on the bank of the Kafue River in the central section of Kafue National Park. Accommodation at Mukambi houses 30 people in eight chalets, four luxury safari tents and one luxury villa. All units are either on the bank of or overlooking the river. The communal area consists of a bar and restaurant, curio shop, boma area with open-air firepit, wooden decks, children’s splash pool and an infinity pool overlooking the river. 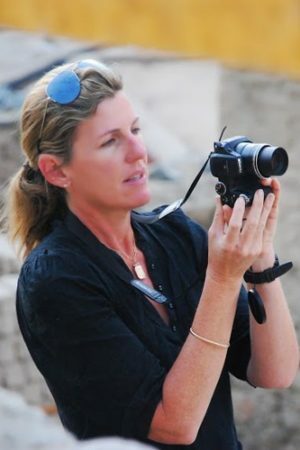 Travel writer, mountain guide and mother, Sarah Kingdom was born and brought up in Sydney, Australia. Coming to Africa at 21 she fell in love with the continent and stayed. Sarah guides on Kilimanjaro several times a year, and has lost count of how many times she has stood on the roof of Africa. She has climbed and guided throughout the Himalayas and now spends most of her time visiting remote places in Africa. When she is not travelling she runs a cattle ranch in Zambia with her husband. 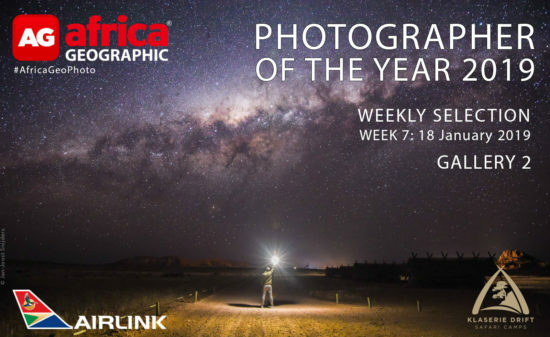 View the latest photographs chosen for our Weekly Selection gallery as part of our Photographer of the Year 2019 competition. New Year Greetings From Mumbai, India. I am a Lover Of African Wild Elephants From Kenya To Botswana to Zambia to Zimbabwe and finally to South Africa. This is an excellent article in more ways than one. 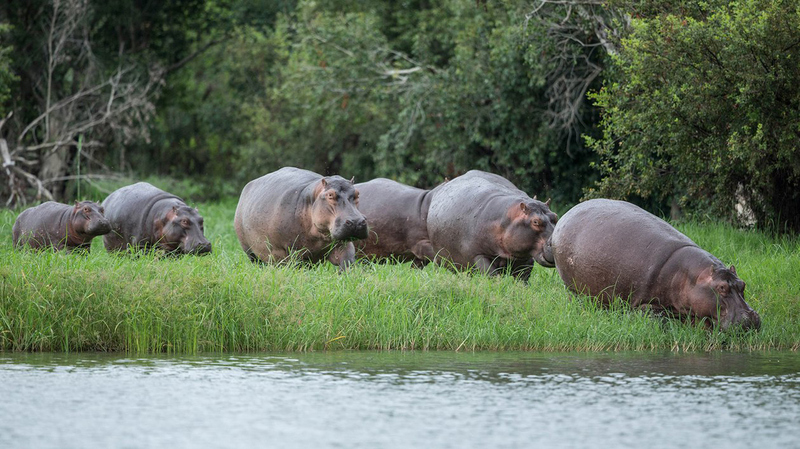 After reading this article, by Sarah Kingdom — Kafue National Park will be on my Bucket List as a “‘Must Visit Destination” simply because I want to be up, close, and personal with the Wise Matriarchs of these Free Ranging Wild Herds who i love such a lot. I have an exclusive blog On Wild African Elephants. 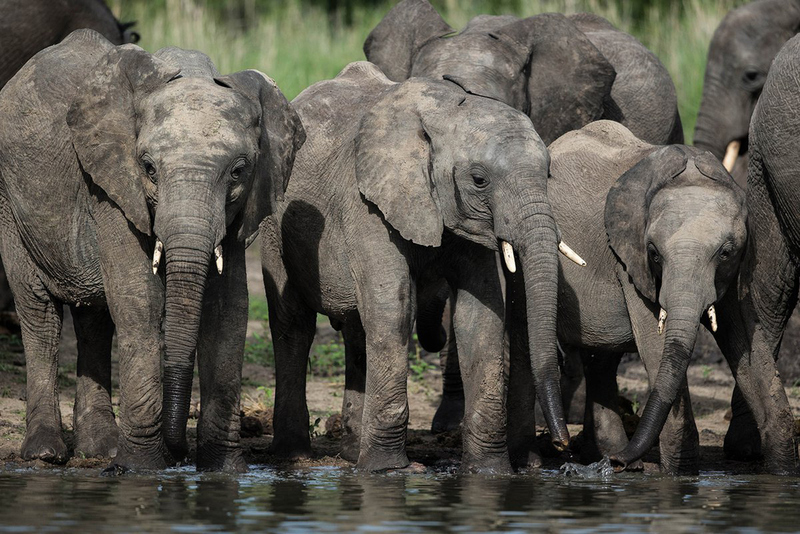 It is called — African Elephants Iconic Giants In Grave Danger. 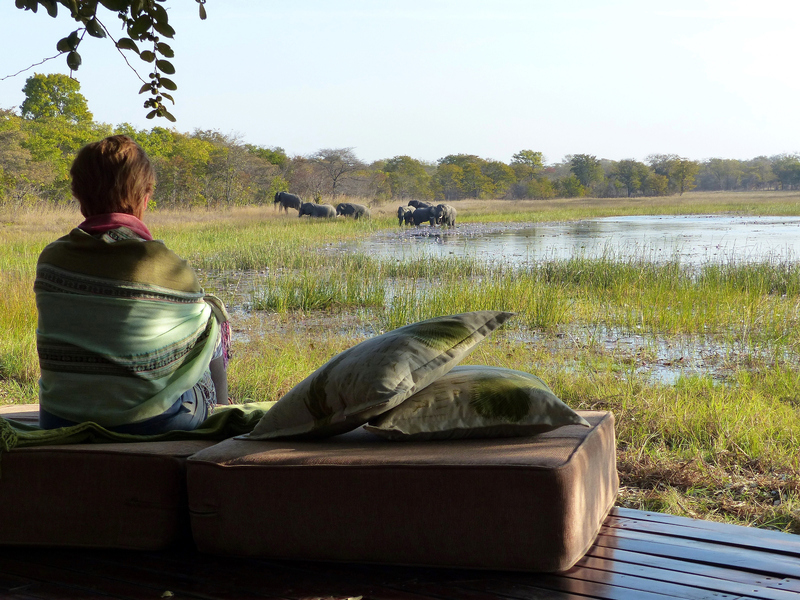 All this time, It was my dream and still is to be up close and personal and to be one with the Matriarchs of Kalahari Bush Elephants at Chobe National Park in Botswana but now KFP in Zambia is another Iconic Destination to visit. 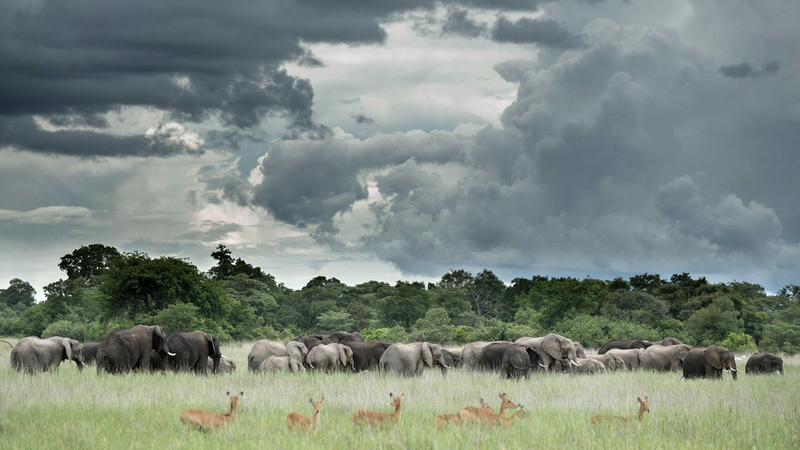 Kafue National Park is a Rare Jewel and is nothing short of Virgin Wilderness in the Heart of Zambia. I love Wild African Elephants Period and I worry about their safety specially about the welfare and safety of the Big Bull Tuskers as well as about the Matriarchs that have to direct the herds and take them from Water Hole To Water Hole.